Following a car accident or a similarly traumatic event, you may be liable for thousands of dollars in medical expenses. If your injuries were the result of a third party’s negligence, you can certainly file a personal injury lawsuit and seek compensation for these medical costs. One thing to keep in mind, however, is that your claim should include not just past but also expected future medical expenses. 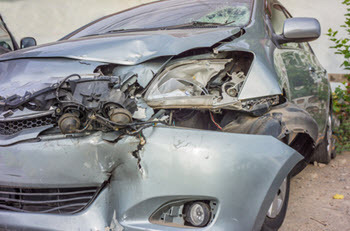 Ideally, your injuries following an accident are minor and only require limited medical care. Unfortunately, that is not always the case. For example, if you suffer multiple broken bones in a car crash, you may require multiple surgeries and struggle with lifelong effects such as chronic pain and arthritis. Similarly, if an accident causes a head injury, there may be permanent brain damage that requires lifelong medical care. Under Florida law, an accident victim has the right to seek compensation for future medical expenses from a negligent party or their own uninsured motorist carrier. However, it is not enough to simply guess at how much those future expenses may be. While there is always some degree of speculation required in these cases, a victim must still present a judge and jury with “competent, substantial evidence” on which to basis an award of future medical expenses. Here is an illustration from a recent Broward County personal injury case. The victim here was injured in a car accident. She filed suit against the responsible party and served the claim on her uninsured motorist carrier. Following a jury trial, the court awarded the victim $690,000, which included $360,000 for future medical expenses. The insurance company appealed. The Florida Fourth District Court of Appeals agreed with the insurer that the award of future medical expenses was not supported by the evidence. The Fourth District said the only evidence presented at trial came from one of the victim’s doctors, who testified she would need shoulder surgery (at a cost of $40,000-$50,000) and thereafter “incur up to $2,000 in future medical expenses per year.” Notably, the jury did not hear any evidence regarding the victim’s life expectancy, so it was impossible to calculate how many years she would incur these expenses. Accordingly, the Fourth District reduced the award of future medical expenses to $50,000–the maximum estimated cost of the anticipated shoulder surgery–plus $2,000 for each year of the victim’s remaining life expectancy, which the trial judge was ordered to determine in a separate proceeding. Future medical expenses are an issue you should not ignore when contemplating a personal injury lawsuit or simply dealing with your own insurance carrier. It may not be immediately apparent after the accident, but your injuries may require several years of medical care, therapy, and pain management. An experienced Clearwater personal injury attorney can help you with your case and fight for the compensation you deserve. Contact the Law Office of Paul B. Genet, P.A., today at (727) 538-8865 if you would like to schedule a consultation. Law Office of Paul B. Genet, P.A. is located in Palm Harbor, FL and serves clients in and around Palm Harbor, Tarpon Springs, Ozona, Crystal Beach, Safety Harbor, Oldsmar, Dunedin, Clearwater, Tampa, Holiday, Clearwater Beach, Hillsborough County and Pinellas County.